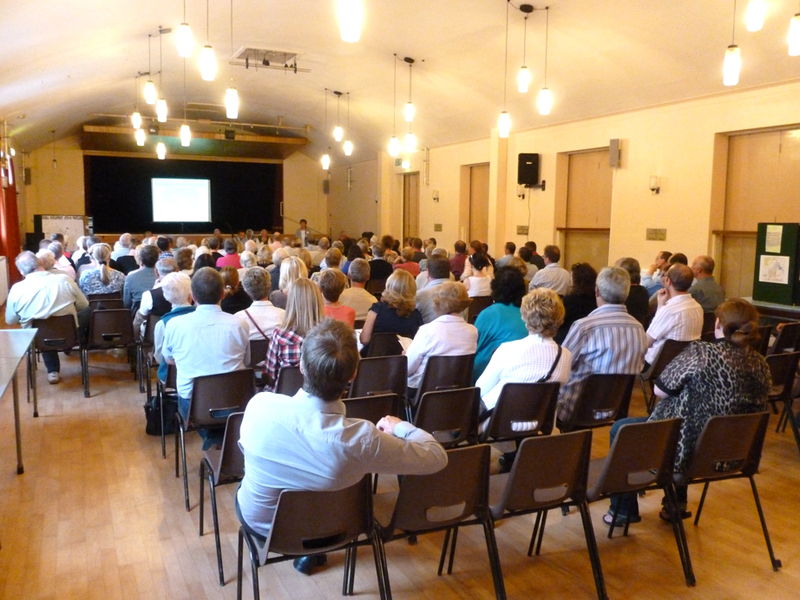 The Ponteland Community Partnership is hosting an event at the Memorial Hall on the 21st Aug 2012 to give the community the opportunity to find out why there is so much interest from the Developers in Ponteland and the surrounding area. 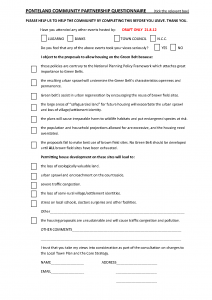 All of the previous events have focused on their individual interests whether it is development, core strategy or local plan. The evening session 7pm to 9pm looks at the impact this interest in Ponteland is having on the local community. We shall be setting out how The Localism Bill and lack of a new Local Development Plan has given a window of opportunity for planners to put together their own development plans for masses of houses to be built in and surrounding Ponteland. We must not forget the potential development associated with Newcastle City Council which comprises of approx 4,500 dwellings in the Callerton area. Add to this the potential explosion of 145 houses on the Police Headquarters site, 550 at Clickemin, Birney Hill Farm and all of the land in Lugano ownership of the Dissington Estate, and the total could exceed over a period of time, 6,000. This could see Ponteland doubling its population. We should also remember this is what we know about, but are there any other proposals that we don’t know about? Who say’s we need the housing? Who is going to buy this vast amount of housing? If houses are really required in the area, why are there so many up “For Sale” Many of these houses that have been on the market for years and have now turned into ”To Let” properties instead. Could we not consider using the Brown Field sites before considering concreting over the Green Belt. Once it is gone it is lost forever. Ponteland residents value where they live, they have the opportunity of living in an area where they are in easy reach of countryside, schools, shopping centres, airport and in easy commuting distance to their work. The consultation was divided into two sessions. The afternoon session started at 2pmwhere a display had been assembled for the visiting residents of Ponteland. The central point of the display was clearly a large map of Ponteland and the surrounding area showing quite clearly the extent of the potential development and the compounding effect of several very large housing estates on an area currently surrounded by Green Belt. A large section was given to press cuttings from the previous weeks was assembled for residents to look through. 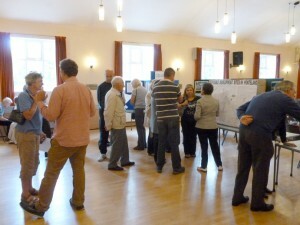 Part of the display gave an outline of information on the Ponteland Community Partnership and its activities. 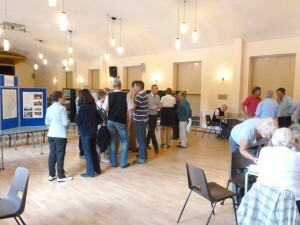 There was plenty of local information provided by our Civic Society and a selection of views of our Green Belt. Members of the Ponteland Community Partnership and the newly formed Development sub-group were on hand to answer questions regarding the potential area identified for development. All of the questions and concerns focused around the impact of potential development of land around Ponteland centre and removal of a substantial amount of the Green Belt. 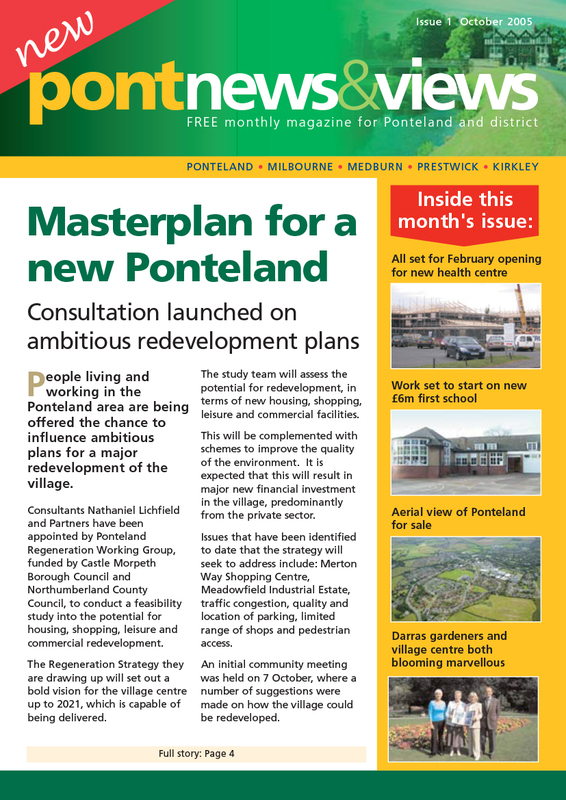 Since the Event in the Memorial Hall in August a group of volunteers have set up a the Ponteland Greenbelt Group its mission is to inform the local Community of the possibility of large scale development around Ponteland. Another separate group has now been established, the Ponteland Neighbourhood Plan Group they have been recognised to support the Town Council in compiling a second draft of a Town Council Local Plan. This in principle was agreed at the Ponteland Community Partnerships Event on the 21st August with the Mayor Peter Cowey. I would ask residents to support our volunteers in their tasks ahead and we will keep you updated though this website.